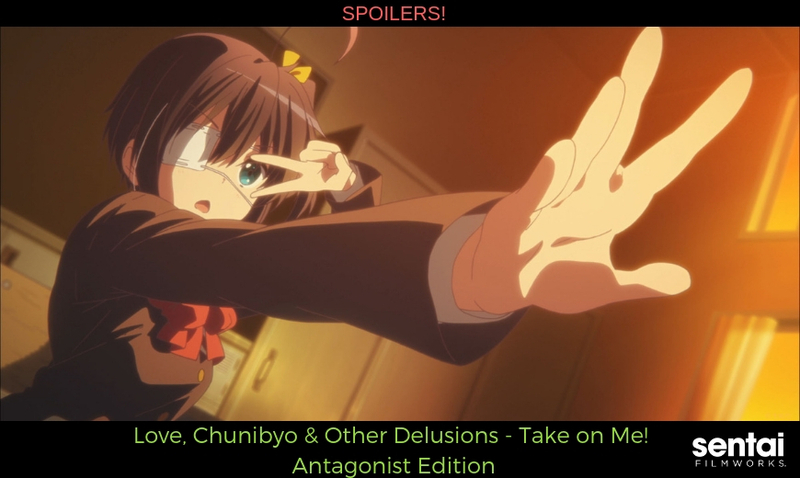 So, needless to say, this blog contains SPOILERS not only for the new Love, Chunibyo & Other Delusions - Take on Me! movie, but also the series as a whole! If you wish to remain spoiler-free, then turn back now! The Wicked Lord Shingan commands it! First things first. You’re thinking it, and we’re thinking it. It’s right there in the title of the movie, so let’s go ahead and play THAT song. Be sure to dance. You know, if you want to. It’s a catchy song. Better yet, let’s all dance while we give those who haven’t seen the movie time to exit out of the blog. We’ll wait right here until you’re done. Ok, everyone good now? It’s finally out of our systems, so let’s talk about the latest entry in the Love, Chunibyo & Other Delusions saga! Yuta and Rikka have gone through a lot over the years. We now find them in their third year of high school and on the cusp of adulthood. Their relationship has survived many trials and tribulations, from embarrassing shenanigans to other love interests, to learning to accept your partner for who they are. But one of the pieces that make a memorable story is a good antagonist. It’s important to note here that an antagonist is NOT the same thing as a villain. An antagonist is simply someone who stands in the way of the protagonist and their goal, which can actually be a good or a bad thing depending on the story’s context. 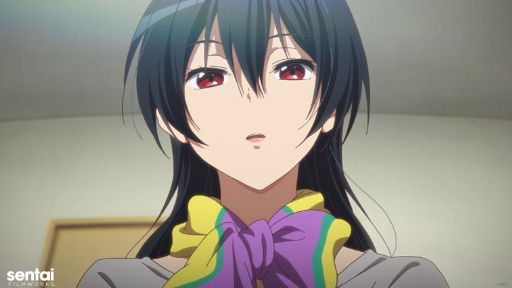 Toka has long filled this role because she wants Rikka to drop the chunibyo act and behave like a “normal person”. 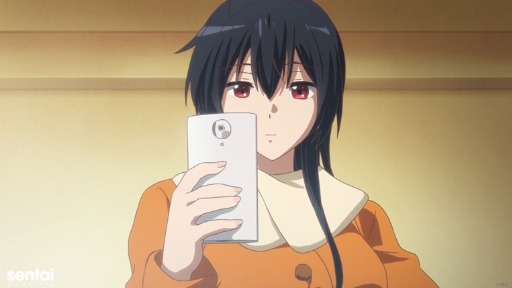 This time she’s going to Italy, and she’s bound and determined to take Rikka with her. She’s not going to take “no” for an answer, either. Meanwhile, Rikka knows that this will separate her from her loving and understanding boyfriend. Ultimately, Toka cares about her sister. Her antagonistic nature is born from worry. Rikka is about to enter the real world, yet she still holds fast to her chunibyo life. The first season explained why she’s like that: it started as a coping mechanism due to the death of her father. But as Toka points out during the movie, her sister has since dealt with her grief and found “the invisible boundary lines” that she always talked about. If chunibyo was her way of grieving, then shouldn’t she be over it already? More importantly, how can Rikka truly love Yuta if she insists on remaining the same person she’s always been? After all, it’s only natural that people change over time. Even Yuta, the person who accepts Rikka for who she is, can’t completely fault this logic. He understands Toka’s concerns because it reflects his own. At the same time, he doesn’t want to force Rikka into a decision she’s not ready to make. He wants Rikka to gradually ease into the transition. Toka proves that you can be an antagonist and still be a likable character. In a way, she’s always brought a sense of balance to the series. On one hand, the audience is supposed to cheer for Rikka’s individuality and her embrace of her chunibyo. However, Toka constantly points out that it’s not necessarily for the best. It’s important to be yourself instead of trying to be someone you’re not, that much is true. But if that means you’re stagnating and not improving on your flaws, can it truly be called a good thing? Sure, Toka wants her sister to swear off chunibyo, but it would be a disservice to accuse her of trying to mold Rikka into someone she’s not. She just wants her sister to be happy and to grow as a person. It’s just that her idea of what that means is different from Yuta and Rikka’s. So, the question is, will Toka drag her sister off to Italy kicking and screaming? We don’t want to spoil the movie any more than we already have, so you’ll just have to watch and find out! Have you ever come across a good antagonist in an anime? Let us know by tagging us with @SentaiFilmworks with the social media buttons below and don’t forget to sign up for our newsletter!